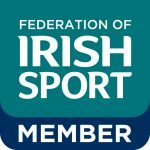 The 2017 edition of the Softball Ireland National Club Championships (SINCC) was hosted by Softball Ulster on a cold and wet September morning. The annual competition saw the winner of the 2017 Leinster Premier League – TNT play the 2017 Ulster League Champions – Belfast Brawlers for the National Club Championships. 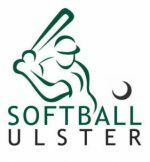 Softball Ulster were great hosts with both teams arriving to a full fenced diamond and good quality infield considering the time of the year. SINCC acted as a prelude to the Softball Ulster end of season tournament. The game itself was somewhat one sided with TNT jumping out to a 11-2 lead in the first inning after which they never gave the Brawlers a chance to get back into the game. The final score on the day was 26-3. TNT as 2017 SINCC winners will join Dodder, the 2016 winners, in representing Ireland at the European Club Championships in Italy in 2018.